Now in its ninth year, the Hot Air Music Festival is a new music marathon that focuses on world premieres, collaborations by young composers and performers, and music written in the past 50 years. 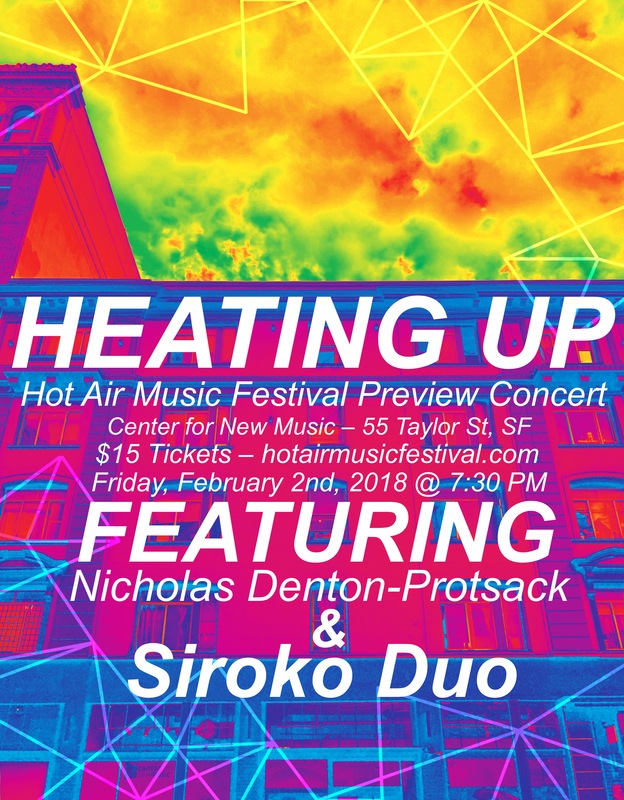 Hot Air is proud to present Heating Up, a preview concert featuring performances by Nicholas Denton-Protsack and Siroko Duo. Be sure to join us again on Sunday, February 25th at the San Francisco Conservatory of Music as these groups return as part of our annual festival.